By buying this product you can collect up to 1825 bonuspoints. Ellok klass 101 typ DB AG, loket har LED belysning, längd över buffertar 86 mm, epok VI. Model: The locomotive has a new generation motor. Both trucks are powered. Maintenance-free warm white and red LEDs are used for the lighting. Current can be drawn from catenary and the catenary selector screw has been moved inside the locomotive. Length over the buffers 86 mm / 3-3/8'. 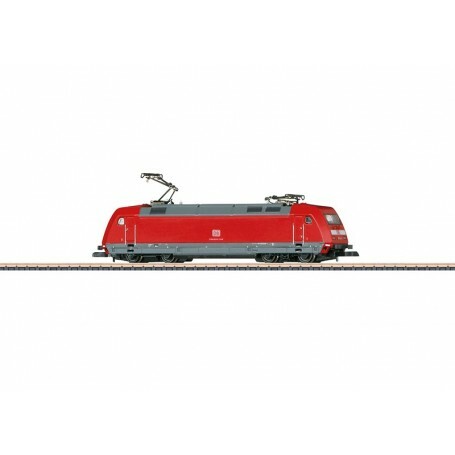 A car set to go with this locomotive can be found under item number 87756.